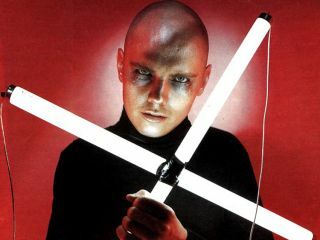 The Smashing Pumpkins are set to release a double DVD set on 11 November entitled If It All Goes Wrong. Commemorating the band's 20-year career and recent reformation, the DVD set contains a 105-minute documentary and concert footage. Entitled The Fillmore Residency, the concert film was shot over five of the band's 11 sold out nights at San Francisco's Fillmore Auditorium in late July and early August 2007. Directed and produced by Jack Gulick (Bruce Springsteen, Metallica) and Daniel E Catullo III (Rush, Dave Matthews Band), the concert footage was captured in 5.1 surround sound and high definition from 12 cameras. Seven new Smashing Pumpkins tracks feature alongside new versions of fan favourites and rarities, while the documentary features revealing interviews with band members, fans, journalists and fellow musicians. Bonus material includes an interview with Pete Townshend.